One thing I love about Facebook is discovering talented individuals through my network of friends. 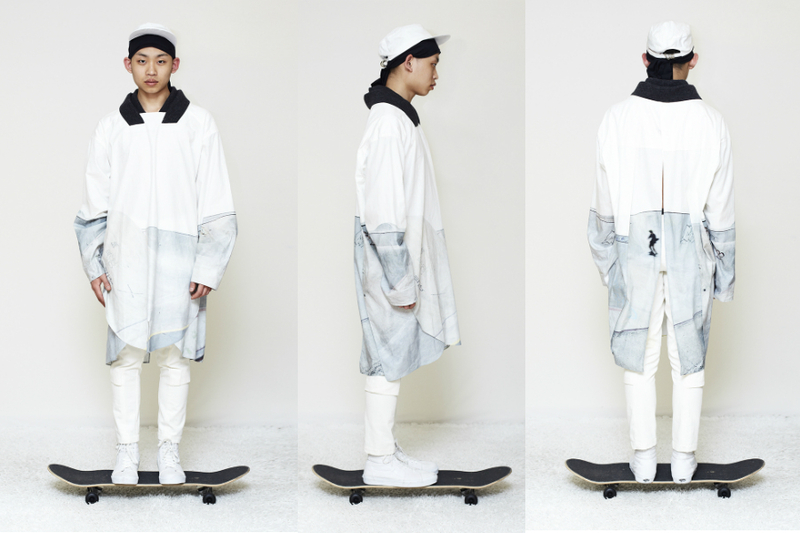 Jino Lee is a young up-and-coming menswear designer based in Antwerp. He is currently finishing his degree at the prestigious Royal Academy of Fine Arts. I bumped into his work while perusing my friend Viviane van Werelyckhuysen's boutique Rosier 41 Facebook Page. 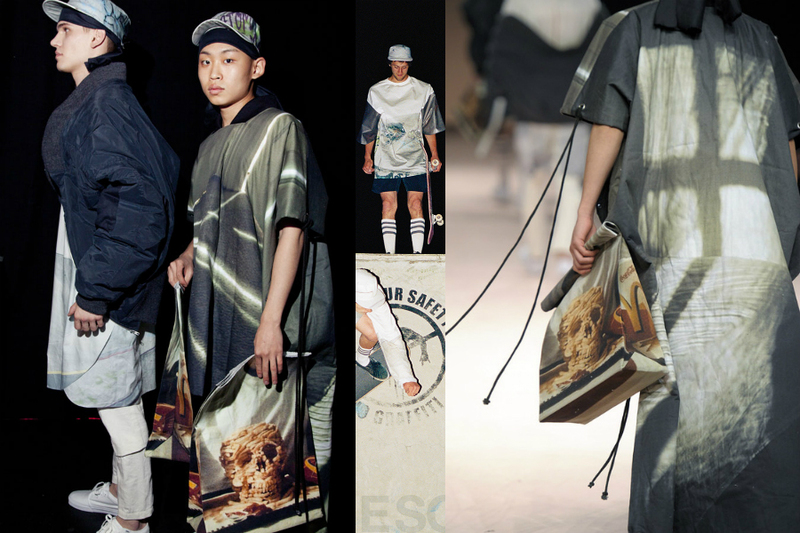 Last January, Rosier 41 showcased his latest collection entitled "Down Escapes". Jino did a marvelous window display. Anyway, I was so impressed with his work that I had to contact him ASAP. I eagerly expressed my interest in featuring him here so I can share his work to you my ardent readers. Amidst our busy schedules, I'm glad that we were able to make this interview happen. So guys, without further ado, I present to you Jino Lee. I have a feeling this guy is going to take menswear by storm! Can you describe your aesthetic as a designer? For me, building a collection is like capturing a specific moment. Just like taking photographs, I try to express certain moment of our daily life. Do you consider yourself an artist or a designer first? Well-made garment can be a beautiful object that can be hung on your white wall. But still, I think that garment is garment when it's worn by a person. So I consider myself a designer. Although, artistic part of it remains in the process of building the collection. Especially when it needs to be represented using different methods and new approaches. Based on the images that you sent me, youth subculture like stakeboarding, streetwear, graffiti and fast food plays a great deal in your collections. What's the idea behind this? Years back, I used to snuck out of my bed, try to fake the eyes of parents by stuffing the bed with clothes and stuff. It's nothing about breaking bad or horsing around in the city. It's more about that morning chill and the calmness and those stupid jokes that you make with your friends. Empty skatepark and McDonald’s are just perfect places to be. Are there any fashion designers out there whom you consider as your heroes? One name will never be crossed off my list and that’s Raf. 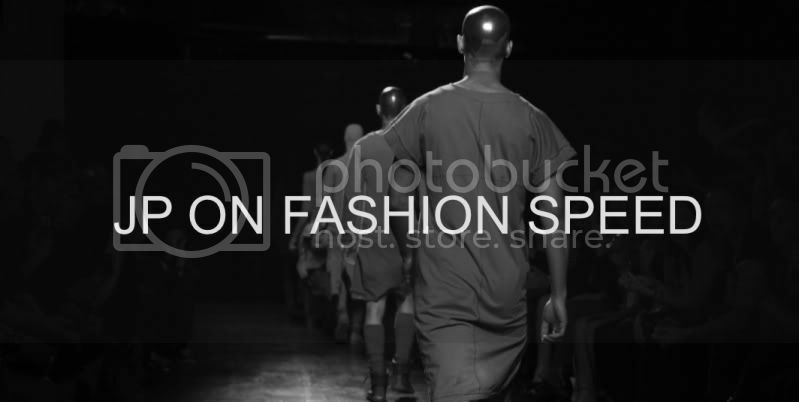 Do you have any favorites among the more contemporary fashion designers? 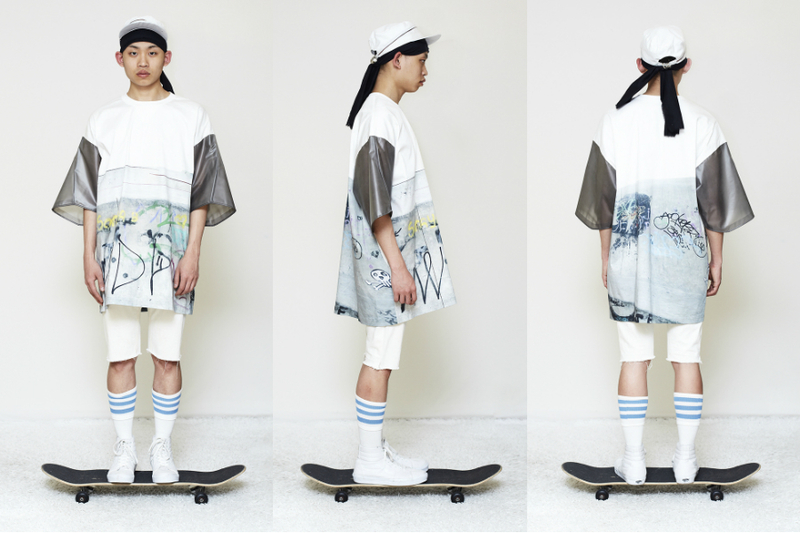 Martine Rose, Shaun Samson, Siki Im, Glenn Martens to name a few. Looking forward to their next collections. You are currently a senior at Royal Academy. What are your plans after graduation? 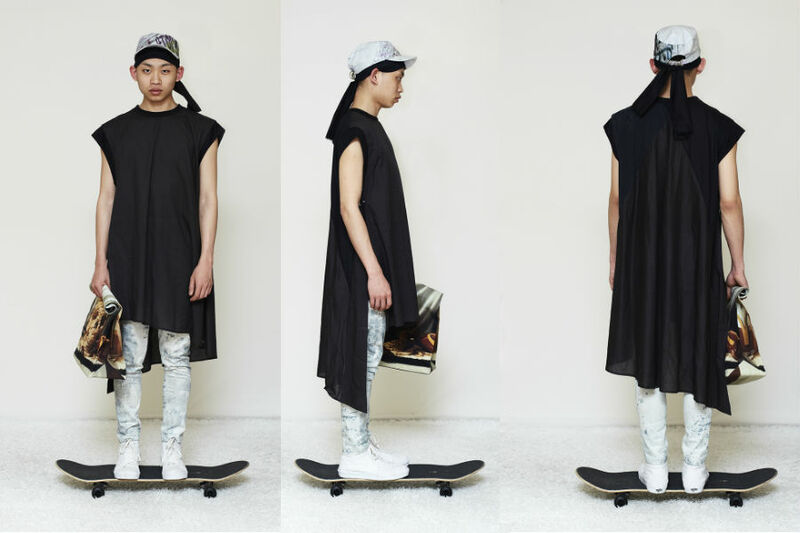 Would you continue doing menswear or perhaps try out something new? Certainly, I’ll be doing menswear after graduation. 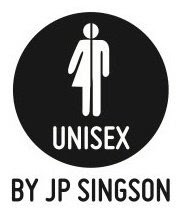 At this point, I’m more interested in working as a group than in having a label named after me. Why did you choose Antwerp over the other bigger fashion capitals such as New York, Paris, London, Milan and Tokyo? What's special about Antwerp? One day, I was at a book store and picked up a copy of 'A MAGAZINE CURATED BY …'. While flipping through its pages, I came across the credit page, only to realize that the original idea to create such magazine came from Walter. Surprisingly, everything I had my full attention to was happening in Antwerp. Curiosity grew immensely that I had to stop my study to come and find out what was happening here in this very city. Antwerp is home to some of the most successful Belgian designers such as Raf Simons, Ann Demeulemeester, Dries Van Noten and the like. 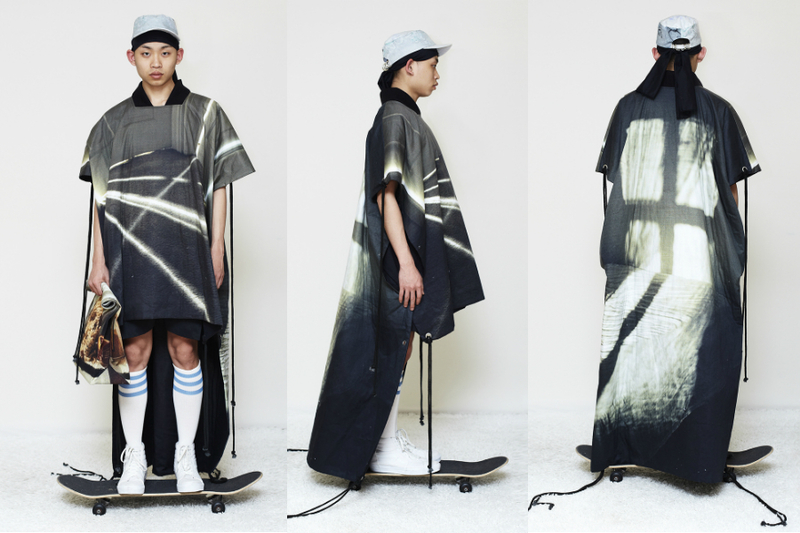 What sets Belgian designers apart from other foreign designers? Even if the styles of all the designers listed above differ from one another, the core remains the same as they constantly crave for something new. What makes them even more different is mysterious atmosphere that city gives. I like it because it’s still very unknown and there's whole lot more to discover. So far, what has been the most fascinating thing you have learned in school? Working with different ideas and concepts and still reflecting you own perspective. The most fascinating part of all is facing Walter (Van Beirendonck) twice a week explaining my collection. 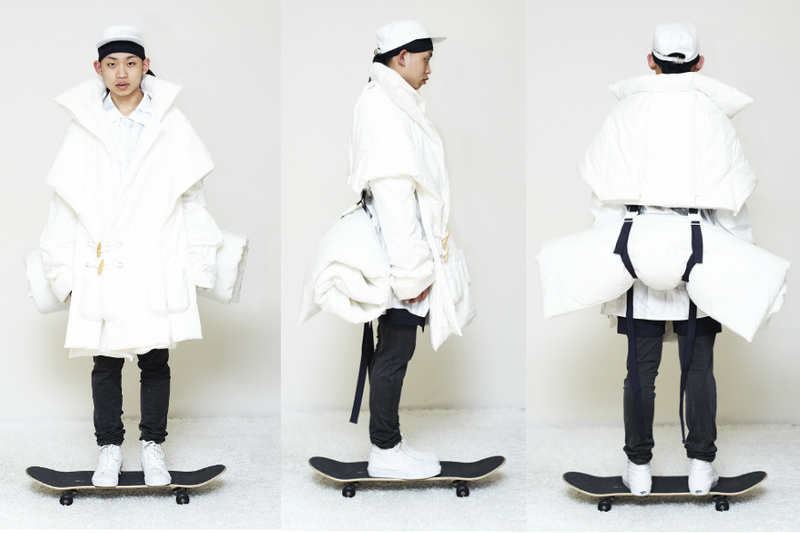 Lately, a number of Korean designers such as Juun.J, Siki Im, Resurrection and General Idea to name a few are making waves in the international fashion scene. 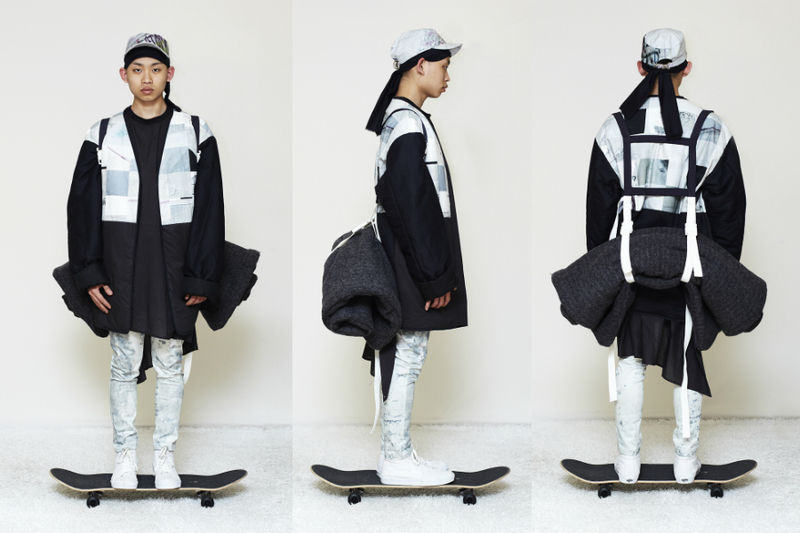 Do you think Seoul is going to be the next Tokyo as far as fashion is concerned? It’s getting there I think. Very positive that there are many decent brands and young designers arising in the scene, but I highly doubt that fashion is evolving by itself. For sure, film, music, art and books are playing a huge role in this. People just started to show their interests in culture of Korea, so I guess it will take another few years to get there. 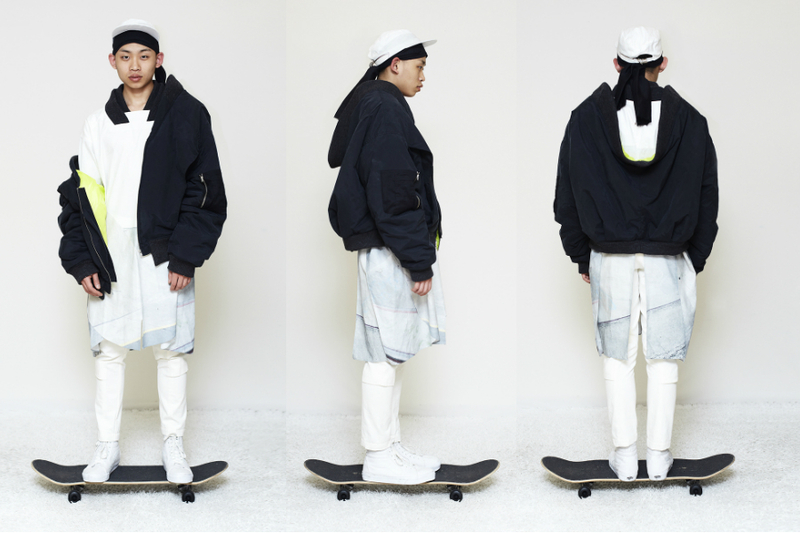 Do we see a Korean Raf Simons in the making? Only time will tell. 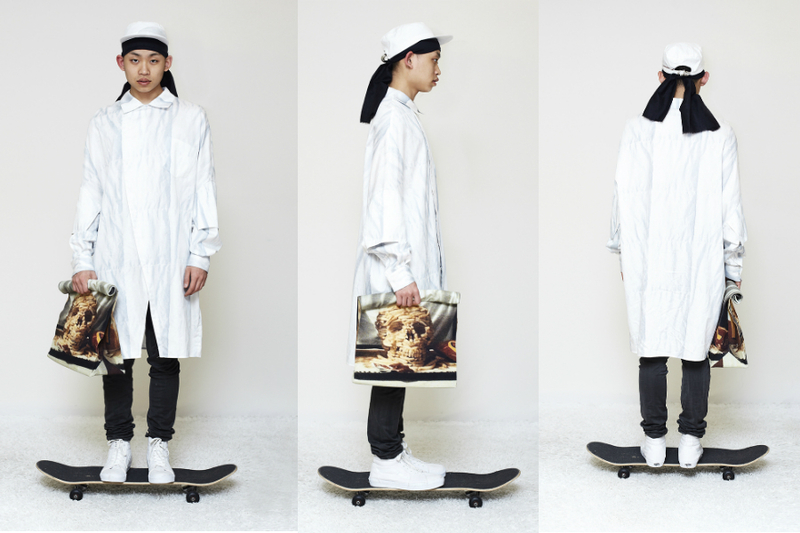 Love these pieces, especially the printed bags! Everything great comes out of Antwerp - I can't wait to go back next month for shoppppppppinggggg.